Preparing for Disaster – Do you have a Data Recovery Plan? Will your business recover from a disaster such as flood, fire or theft? What will it cost if you lost your data? Most executives consider a disaster a hurricane, tornado, flood or earthquake. The truth is a disaster is any event that prevents your business from accessing the data and systems it needs to operate, including regional power outages, cyber attacks, employee sabotage and hardware failure. Every company faces the risk of IT interruptions that can grind business to a halt. Downtime and lost data can ruin the reputation of your business, brand and productivity, diminish trust that can result in lost revenue, yet only 35% of small and medium sized enterprises have a DRP in place. Listed here are 10 reasons your business should have a Disaster Recovery Plan. 1. Mother Nature is unpredictable. Natural disasters have cost the global economy around $2.5 Trillion since 2000. Almost every area of Australia is subject to some sort of natural disaster. You shouldn’t leave your businesses’ well-being up to chance. You can buy the best equipment on the market but that does not safe guard you from malfunctions, lemons and breaks. 99% of IT professionals have experienced a hardware failure. 3. You can’t afford downtime. Many businesses experience a disaster (destruction, fire, floods etc.) at some point, and many of those businesses will go under in just over a year. Lost revenue and crippling effects of data loss can be the final straw for many. 4. Your customers and prospects expect it. In a switched on business world, your customers expect to have access 24/7. Downtime means a lack of availability to your customers and a loss of business in the immediate and possibly long term. 5. Because you spent a lot of time and money building your brand, you need to protect it. Downtime and lost data can ruin reputation, brand and diminish trust that can result in lost revenue, yet only 35% of small and medium sized enterprises have a DRP in place. Are you rolling the dice with your brand? 6. We live in an always on world that requires ‘always on’ capabilities. 72% of web users report abandoning a company website for a competitor’s due to frustrations with the site. When a website goes down, online shoppers are not willing to wait for the unknown time at which the site will be back online. If you aren’t protecting your internet and network you leave the door wide open for your competitors. 7. Compliance and regulations require it. 65% of companies need to produce DR reports for things such as compliance. Disaster Recovery helps safeguarding data required by HIPAA regulations regarding record keeping & BIA (business impact analysis). 8. Because you can’t predict what data might be lost and the value it had for your company’s well-being. 9. It will save you money. Are you running duplicate sites, multiple servers, all to ensure if something happens to one you have another? 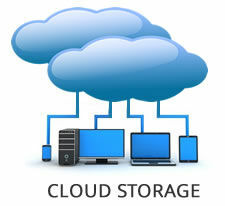 Consider the cost savings by implementing virtual machines that can recover data in case of disaster. Before virtualization, disaster recovery would have cost at least three times as much because an organization needed to have multiple data centers, specialized software and large network connections. Humans make mistakes. 80% of unplanned outages are due to untested and ill-planned changes made by administrators and 60% of availability and performance errors are the result of misconfigurations. Do you have a Data Recovery Plan? We can help put this in place. Consider the cost of downtime, loss of productivity and many other reasons you should have a DRP in place. Because efforts are aggregated across machine groups rather than one-machine-at-a-time maintenance. Once policies are created, updated and applied to machine groups, so time is spent ensuring policies are robust and applied consistently.